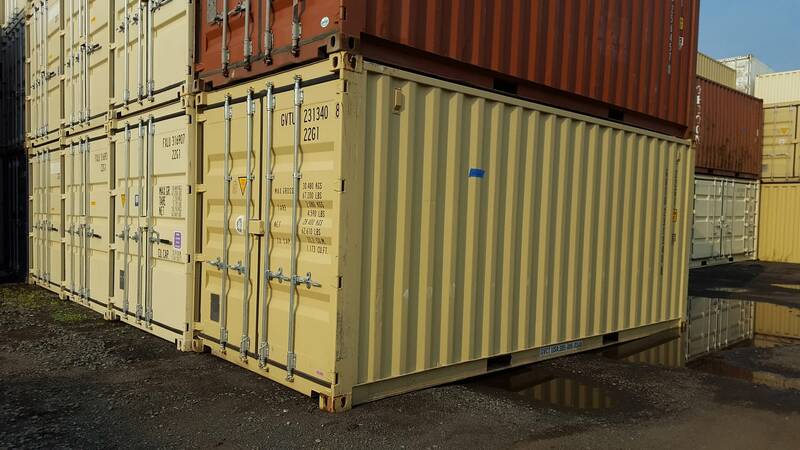 TRS rents 20ft long steel ground storage watertight containers. We deliver. 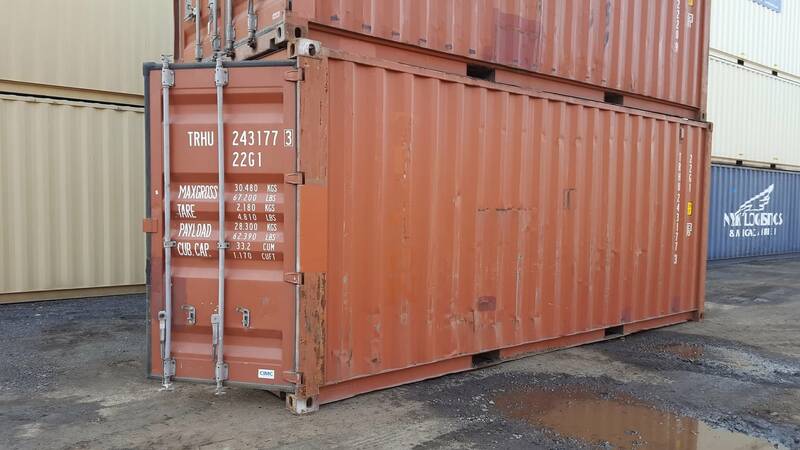 TRS offers 3 grades of Used 20ft long steel containers at different price points. 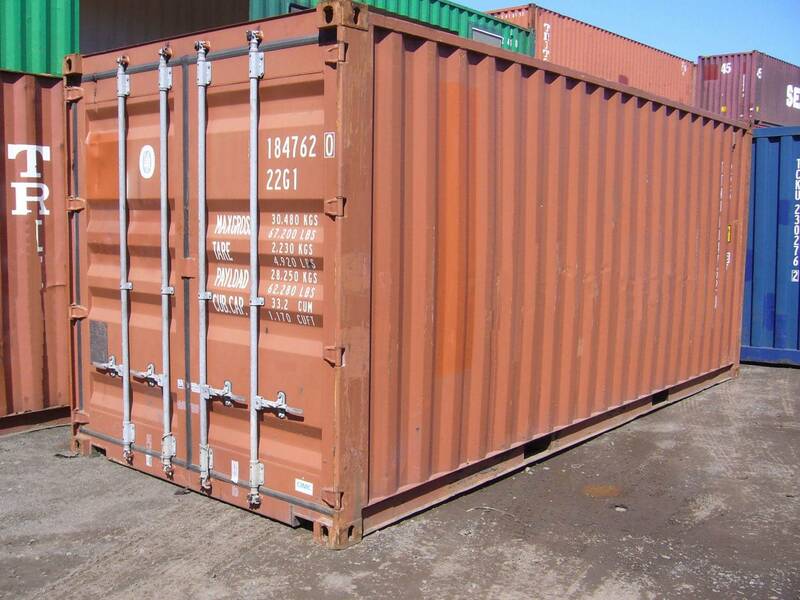 New containers offered under special agreement. Test out the container if see if you need it long term. 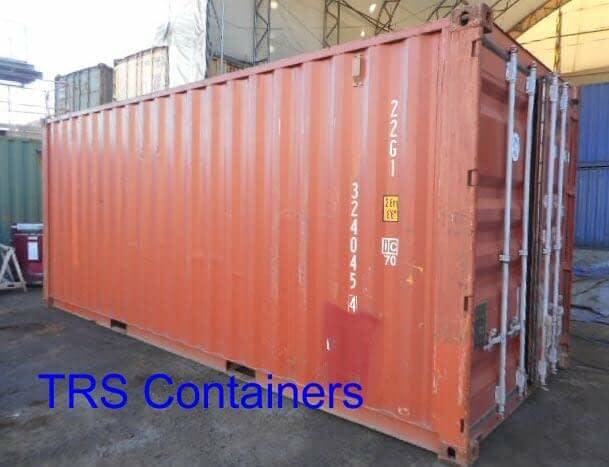 TRS repositions the container if you have another requirement. 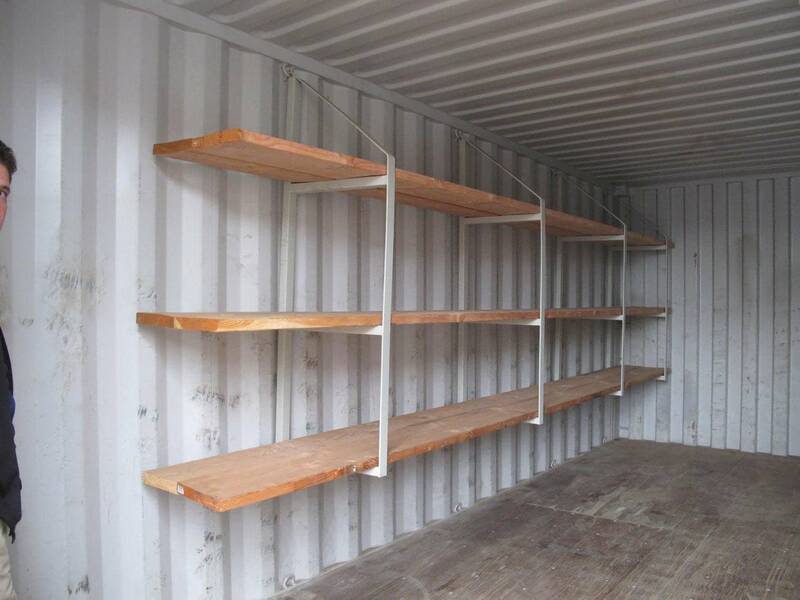 We offer options that add to the security of a container or office on a jobsite. Can be winched up moved to different jobs. Durable fire resistant and survives natural disasters. Ground Level access for safety. Need less cash to obtain the asset. Offer Grades A, B, C at different price points. Water tight to protect material from the weather. Ashtray vents to prevent condensation. Constructed of 14-gauge non-corrosive steel. 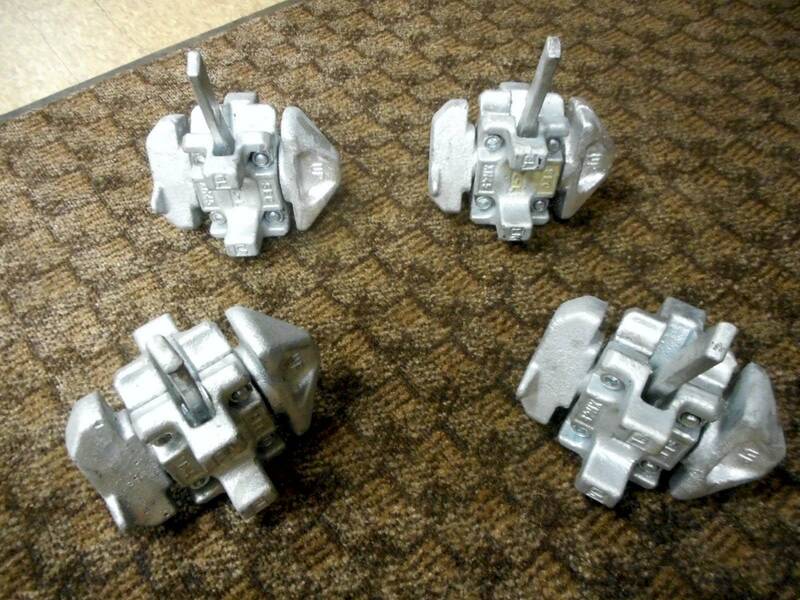 Corner castings for overhead lifting. Fork pockets for empty lifting. Marine plywood floors treated to resist bugs and rodents. Transport by truck, rail, ship or air. Tie down lashing D-rings to secure material. Two swing doors for full access to interior. Secure vandal proof locking bars with hasps on doors.